This past week I've noticed a marked change in our mother hen Fancypants Johnson. 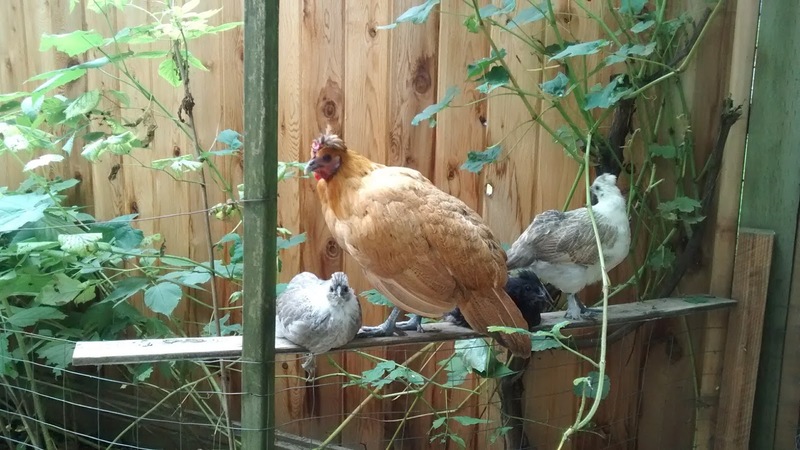 She's 7 years old and has taken a beating raising the latest batch of chicks. The other chickens chase them away from the feeders, attacking the mother and pulling out chunks of feathers. Poor thing has gotten thin, lethargic and her breathing is laboured. What can be done? They have getaways, like the roost in the photo. Also I put food and water out in different places so it is harder for the other chickens to guard it. When I am out there -- usually twice a day, I hand feed them or put them out in the yard with a feeder so they can eat in peace. Tough to know how much to intervene.